Eurodollar rebounded from several upper fibo-levels and started new correction. First target for bears is at level of 50%: if they break it, market will continue falling down. During correction, I opened sell order. 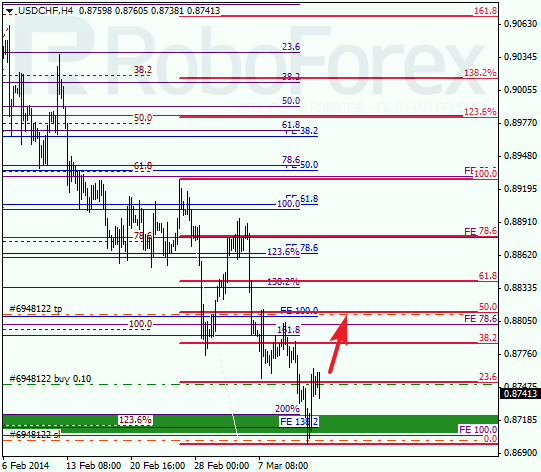 As we can see at H1 chart, price rebounded from target levels right inside temporary fibo-zone. Possibly, pair may break yesterday’s minimum until the end of today’s trading session. Instrument may reach level of 50% on Monday. 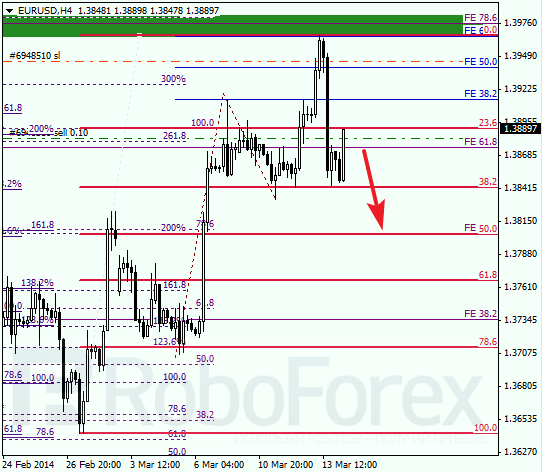 After rebounding from several lower fibo-levels, Franc started local correction. I’ve got one short-term buy order with stop placed at minimum. Target is at level of 50%. 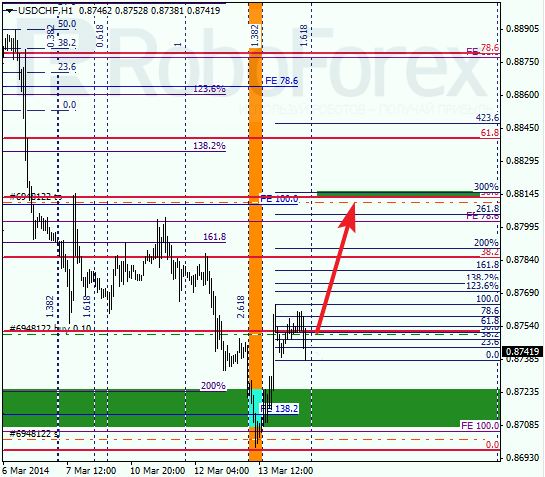 At H1 chart we can see, that bears reached their predicted targets right inside temporary fibo-zone. Most likely, pair will complete current local correction in the nearest future and bulls will start moving towards level of 50%. If later price breaks it, market will continue growing up.